This complete, concise guide enables graduate students in speech-language pathology to apply their knowledge of the anatomy and physiology of voice and speech production to the study of normal deglutition and dysphagia. 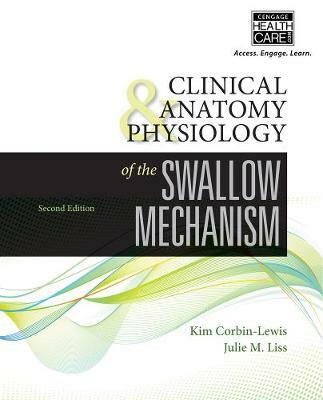 The text examines the oral, pharyngeal, and esophageal components of the swallow mechanism, identifying both normal structure and morphology and structural and physiologic abnormalities. The Second Edition has been carefully updated to reflect current evidence and evolving theoretical frameworks for a wide range of diagnostic and treatment approaches, as well as the analytical process needed to effectively evaluate current and future research results. The text also features new material on neurological control, motor control, and learning, in addition to information on new technology and treatment techniques, such as electrical stimulation, free water protocols, Shaker exercises, and use of the National Dysphagia Diet. New and revised images clearly and consistently illustrate critical concepts of anatomy and physiology. The authors' conversational writing style makes even complex material more engaging and easier to master and apply. This comprehensive, yet highly approachable text equips students to apply a systematic line of inquiry and evidence-based practice to diagnose and manage dysphagia accurately and efficiently.